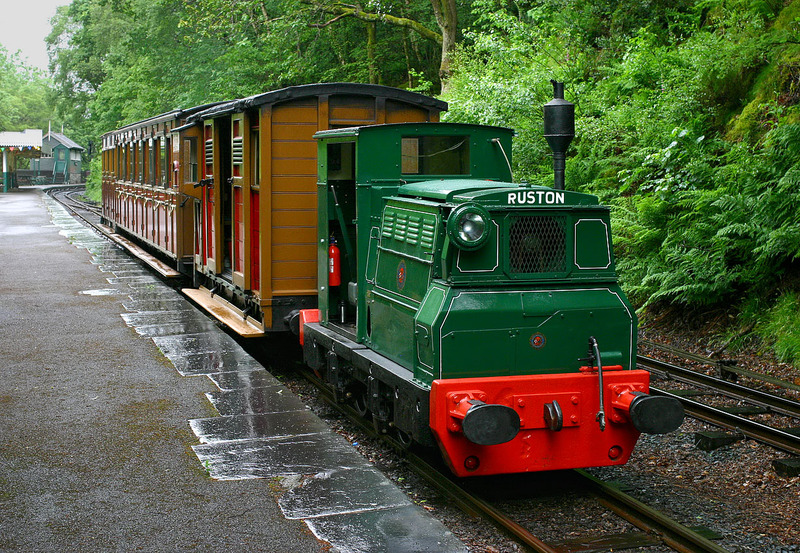 Talyllyn Railway Ruston 0-4-0 diesel No.5 (formerly named Midlander) waits in the rain at Abergynolwyn station on 3 June 2012. It had just brought a party of young volunteers up from Tywyn, and is now waiting to return to Pendre. Built in 1941, this locomotive was acquired by the railway in 1957 and proved itself to be extremely useful in the early preservation era.